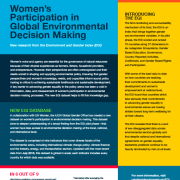 Women possess unique knowledge and skills crucial to mitigate, adapt, and build resilience to climate change and other environmental, social, economic, and political risks. 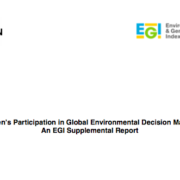 Ensuring that women’s voices inform sound policy making is critical to environmental management and improved livelihoods. 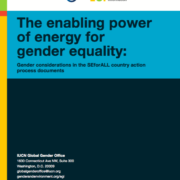 This Environment and Gender Information (EGI) platform analysis explores how women and gender equality considerations are included and addressed in Sustainable Energy for All (SEforALL) county action documents. This study provides insight into the successes and shortcomings of the response to women’s needs in the aftermath of the 2010 Haiti earthquake. 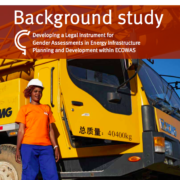 In order to inform future action, this report highlights the importance of gender-responsive emergency response and long-term recovery processes. 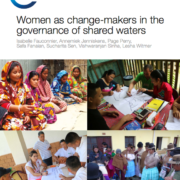 Finally, this study offers a resource to policymakers and practitioners for implementing and mainstreaming gender-responsive perspectives and policies. 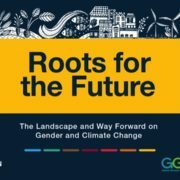 Roots for the Future: the Landscape and Way Forward on Gender and Climate Change presents the latest research, data, strategies, and results on gender and climate change policymaking and programming.